Looking to enhance and lengthen your lashes without the wear and tear of false lashes or the after math of lash extensions? I found the most amazing simple three-step process which is not aggressive or compromising of your own lashes. 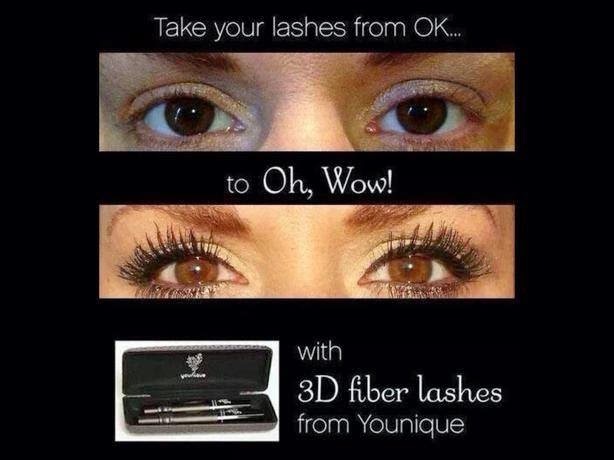 I started using the Moodstruck 3D Fiber Lash system by Younique which combines Transplanting Gel and Natural Fibers to help create the appearance of incredible thickness and volume to your existing lashes. I promise you will be 150% satisfied and hooked like I am. AHH!!! I frikkin' love this mascara!